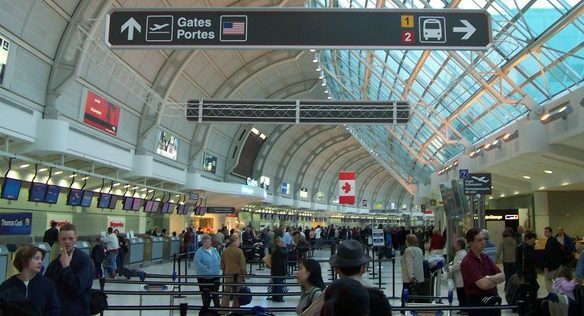 The International Air Transport Association (IATA) announced global passenger traffic results for October showing that demand (measured in revenue passenger kilometers, or RPKs) rose 7.2% compared to the same month last year. Capacity grew 6.2% and load factor climbed 0.8 percentage points to 80.8%, which was a record for the month. October"™s performance was a strong bounce-back after the hurricane-related disruptions in September. Domestic and international travel growth largely was in balance. “As expected, the recent severe weather in the Americas region had only a temporary impact on the healthy travel demand we have seen this year, and we remain on course for another year of above-trend growth,” said Alexandre de Juniac, IATA"™s Director General and CEO. October international passenger demand rose 7.3% compared to October 2016, which was an improvement compared to the 6.6% demand increase for September. Airlines in all regions recorded growth. Total capacity climbed 6.0%, and load factor increased 1.0 percentage point to 79.4%. Asia-Pacific airlines led all regions with traffic growth of 10.3% compared to the year-ago period, which was up from an 8.7% rise in September. Capacity climbed 8.4% and load factor rose 1.3 percentage points to 78.0%. Seasonally-adjusted passenger volumes are rising at an annualized rate of 8-9%, supported by the solid regional economic backdrop and strong growth in the number of connections. European carrier"™ October demand climbed 6.2% over October 2016, which was a slowdown compared to the 7.2% year-over-year growth recorded for September. Capacity increased 4.5% and load factor rose 1.3 percentage points to 84.9%, highest among regions. While economic conditions have shown strong improvement over the past year or so, the upward trend in seasonally-adjusted traffic has slowed considerably since May. This reflects the nature of international travel in the region, which is predominantly short-haul and hence, highly-price sensitive. Middle East carriers experienced a 6.9% rise in demand in October, improved from 3.9% in September. Capacity increased 5.3%, and load factor climbed 1.0 percentage point to 69.6%. As in Europe, the upward trend in RPKs has slowed. Demand to and from North America fell in year-on-year terms for the seventh consecutive month in September (the most recent month for which route-specific figures are available) and it remains the only international market not to have grown in annual terms this year. Traffic has been heavily affected by the now-lifted ban on portable electronic devices, as well as from the proposed travel bans to the US. North American airline"™ traffic climbed 3.7% in October compared to the year-ago period, lowest among the regions but an improvement compared to the hurricane-impacted 3% growth in September. Capacity rose 5.2% and load factor dropped 1.1 percentage points to 79.2%. North America was one of just two regions to post a load factor decline. There continue to be indications that inbound travel to the US is being deterred by the additional security measures now involved with travelling to that country. Latin American airlines had an 8.7% increase in traffic in October, which was a slowdown from September growth of 10.7%, but still the second strongest percentage growth among regions. On a seasonally-adjusted basis, however, volumes are slightly below where they were three months ago. This may indicate spillover from the impact of Hurricanes Irma and Maria. Capacity climbed 9.1%, and load factor slipped 0.3 percentage points to 82.6%. African airline"™ traffic grew 7.5% year-on-year in October, up from 3.6% in September. Conditions in the region"™s two largest economie"”Nigeria and South Africa, still are diverging, with business confidence levels in Nigeria near a three-year high, while confidence levels in South Africa are consistent with falling economic activity. Capacity rose 3.4%, and load factor jumped 2.7 percentage points to 70.9%. Domestic demand climbed 7.2% in October compared to October 2016, while capacity rose 6.6%. India and China continued to lead all markets, with double-digit growth rates. Brazil"™s domestic market climbed 7.7% year-on-year in October, which was a 27-month high as the economy slowly continues to recover from the deep recession of recent years. Russia"™s domestic traffic rose was 6.1% in October, which was the slowest pace in a year. “Demand for air travel remains strong as we head into the holiday travel season, and signs point to the broad-based economic upturn continuing into 2018, which is good news for demand for air travel. Tomorrow, IATA will hold our annual Global Media Day, bringing together some 100 journalists and bloggers from around the world, where we will present our updated economic forecast, among other topics. I look forward to this opportunity to discuss and debate the key issues and initiatives facing commercial aviation with our colleagues in the media,” said de Juniac.